Aslan Interiors specializes in both providing of new furniture and cabinetry through various manufacturers as well as refinishing and restoring existing pieces. 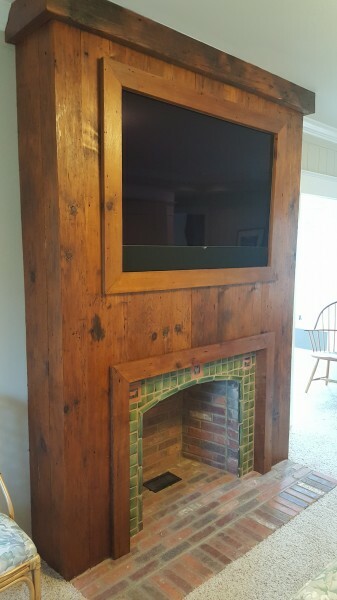 Hand selected 200 year old pumpkin pine boards were integrated into the fireplace surround/entertainment center combo, and our reclaimed barn wood fashioned into a rustic tea cabinet served as a beautiful accent piece for its side of the kitchen. Purchase and install of a new cabinetry can be very costly, but refinishing cabinets with a custom glazed look and installing new hardware freshens up a kitchen for a fraction of the price. 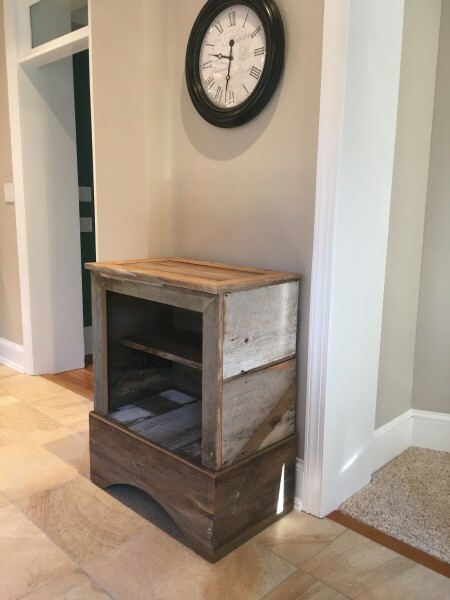 One of Aslan Interiors' custom distressed crackle finishes was applied to the cabinetry, and a slab of hundred-year-old yellow pine to was milled, stained, and sealed to create a rustic butcher-block countertop.